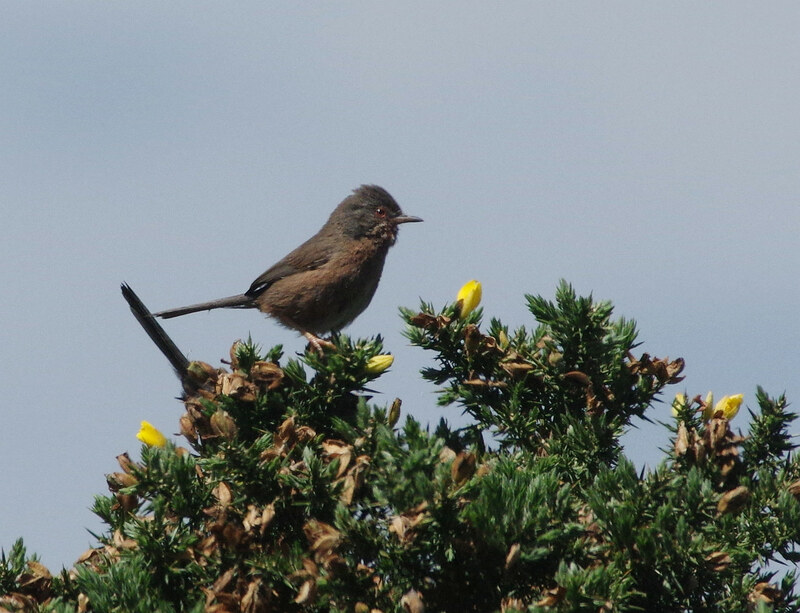 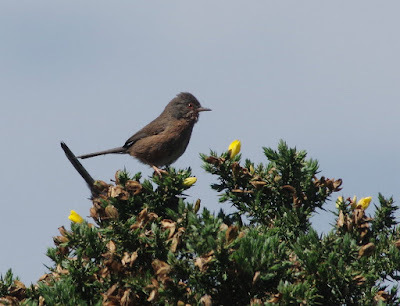 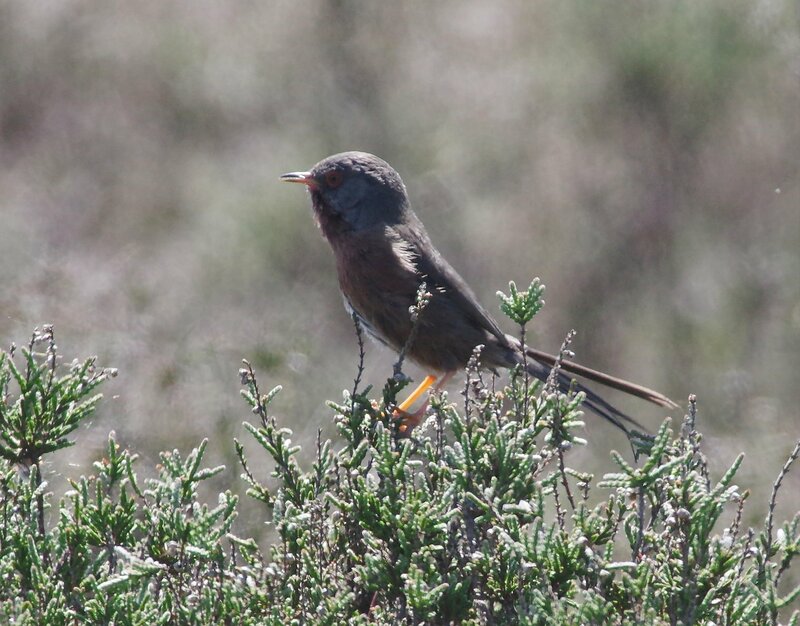 A walk around the Heath in bright, calm conditions not surprisingly produced excellent views of at least half a dozen Dartford Warblers. 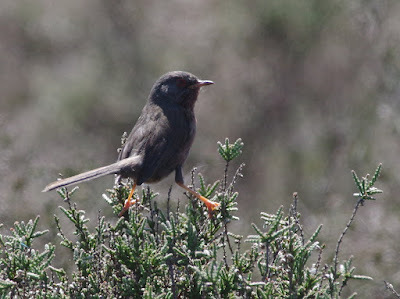 Despite the heat haze, we managed some reasonable photos and were able to show the birds to some of the many visitors. 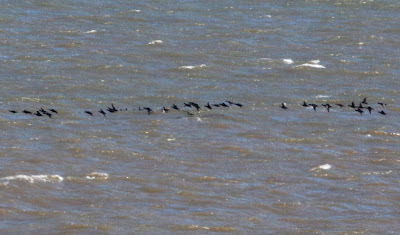 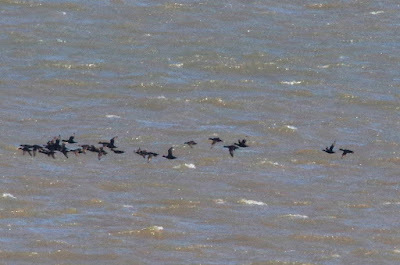 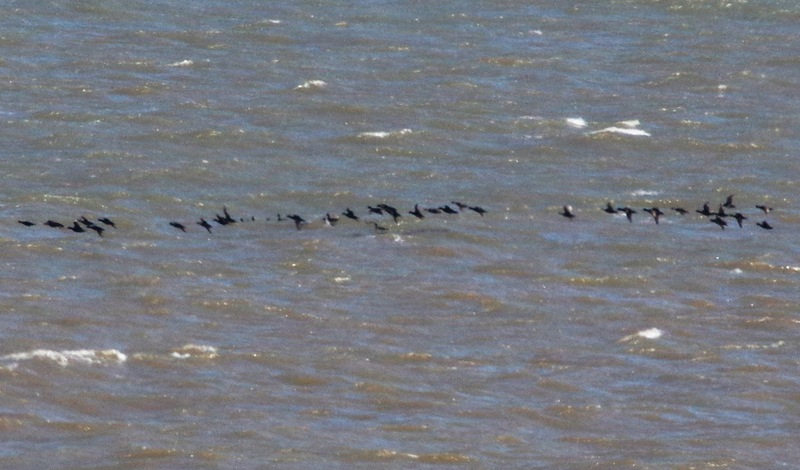 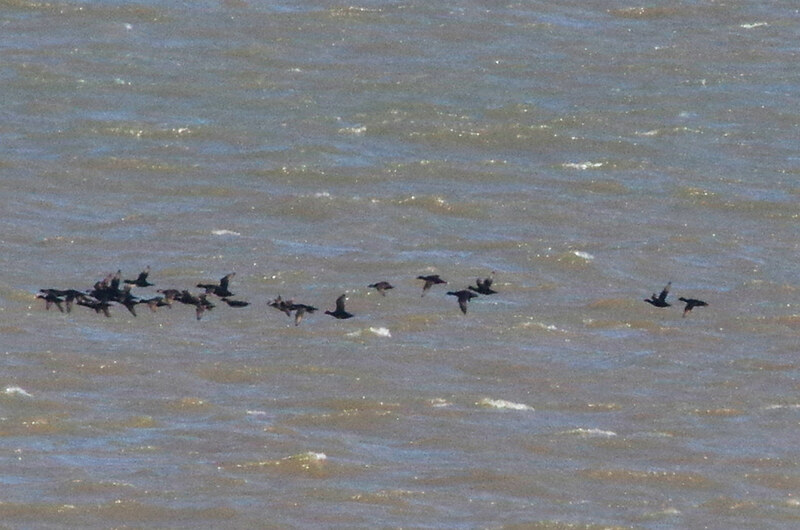 From the cliffs we scanned through a raft of 30+ Common Scoter: no sign of any Velvets, nor the reported Surf Scoter. 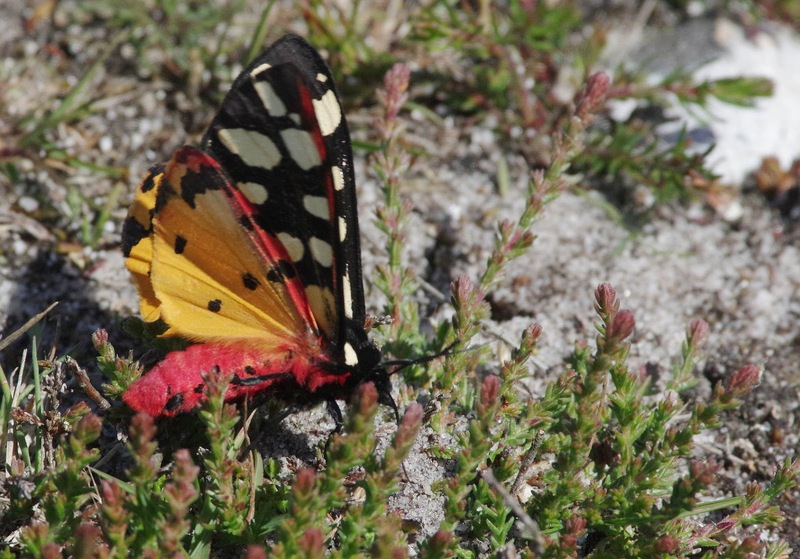 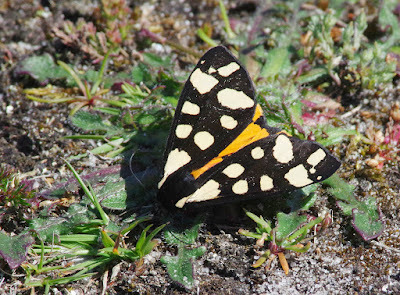 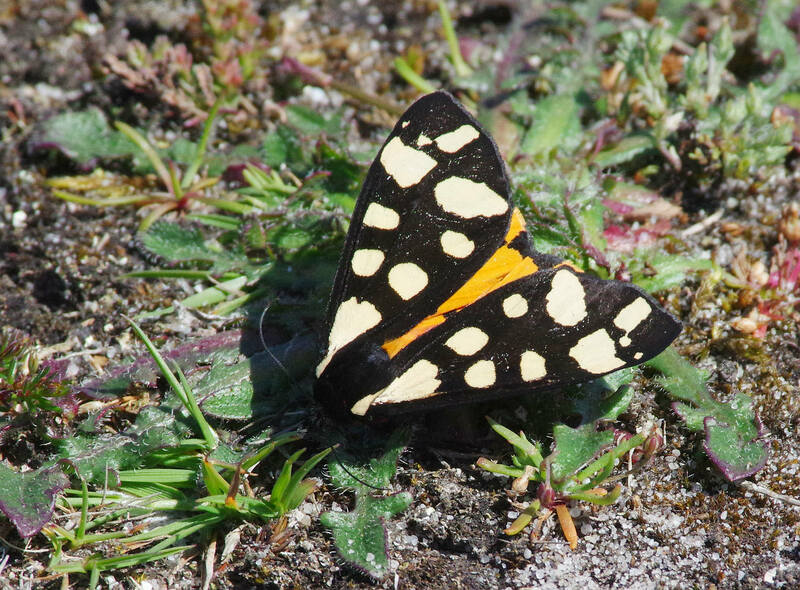 A Cream-spot Tiger Moth was a delightful find.